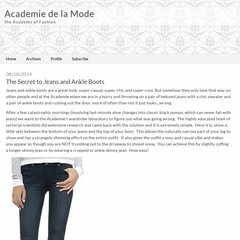 Topics: Academie De La Mode, The Great Es-cape, I've Got The Blues, In-between Days, and Laid-back Chic For Spring. Six Apart Ltd California is the location of the Apache server. Academiedelamode.typepad.com's server IP number is 204.9.177.195. PING www. (204.9.177.195) 56(84) bytes of data.